This box is all about love. Love for your self and your body, love for your family, your friends, or your fur babies. 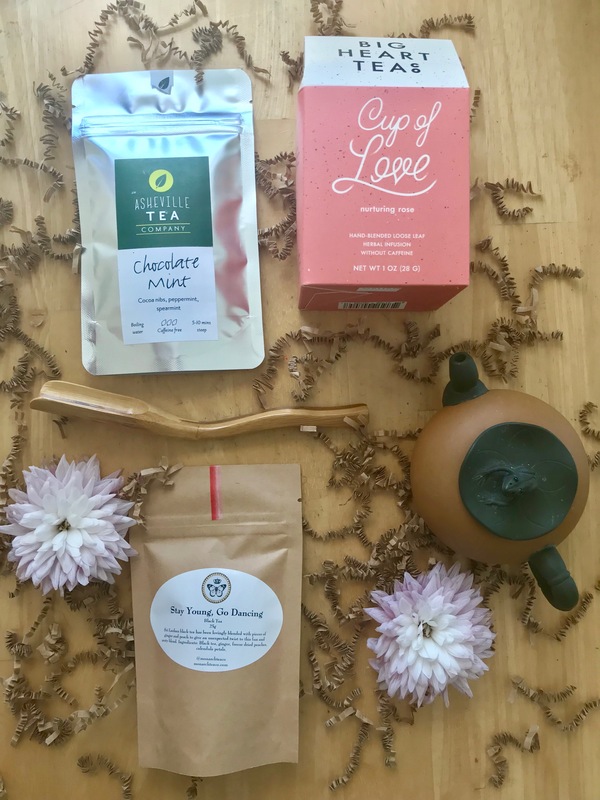 3 handpicked decadent teas that whisper "c'est l'amour!" with every sip. These elixirs of love are aphrodisiacs for the mind, body, and soul. Teas: - Tulsi Rose - Chocolate Mint - Peach, Papaya, Ginger infused Black Tea Accompanied by a carved bamboo tea scoop.